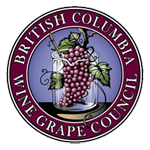 The BC Wine Grape Council operates under the Farming & Fishing Industries Development Act which is facilited by the Industry Competitiveness Branch of the Ministry of Agriculture, Agriculture & Seafood Department. Carl Withler, is the Council's ex-officio to the Ministry and sits on the Council Board of Directors. RELEASED SEPTEMBER 2018 from the Corporate Statistics and Research Unit: Fast Stats 2016 – British Columbia’s Agrifood and Seafood Sector Of note in the 2016 issue are the updates from the Statistics Canada 2016 Census of Agriculture along with 2016 data for aquaculture, commercial fishing and food and beverage processing. Access the link here or download the full report using the link below.